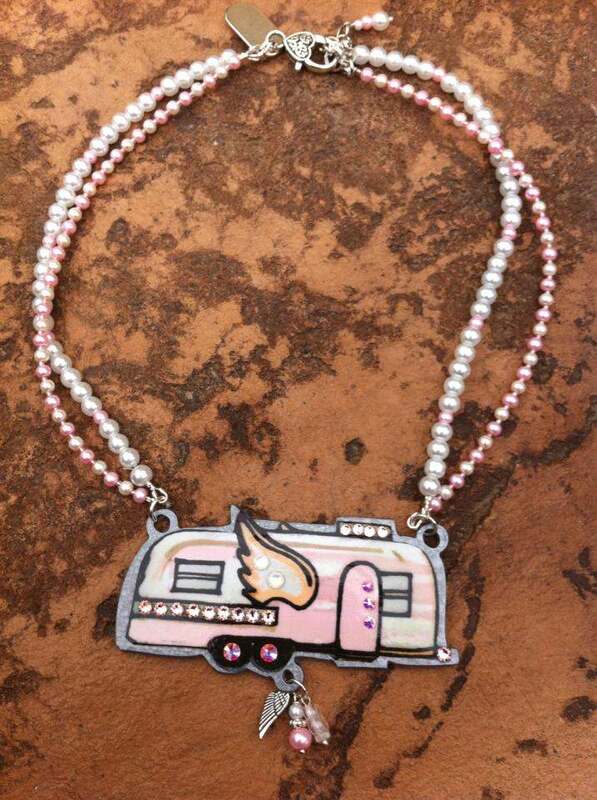 Cute little blinged out travel trailer necklace with pink and white pearl. 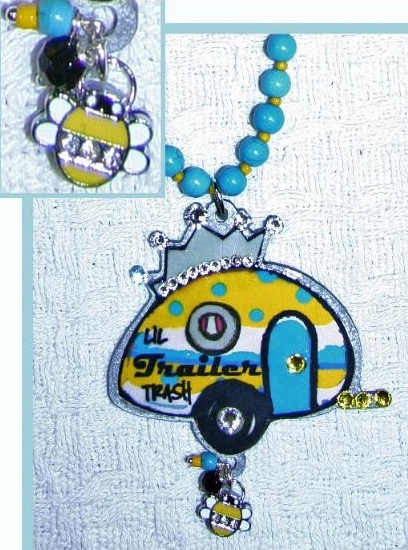 It has a blinged crown charm and then 3 charms that hang below the trailer. TOO CUTE FOR WORDS! !